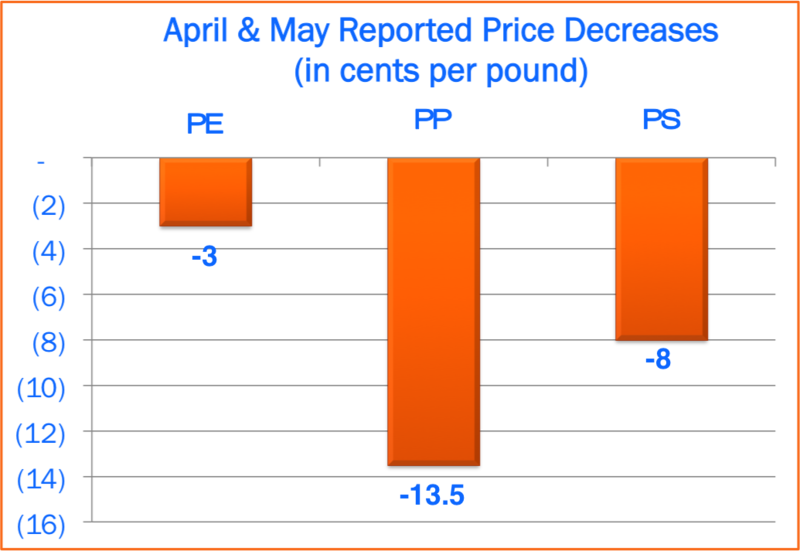 After months of roller coaster pricing for PP, PS and PE, the market seems to have settled down moving into the summer. June pricing for the aforementioned polymers was unchanged from May levels allowing buyers to get their bearings after several months of volatility. 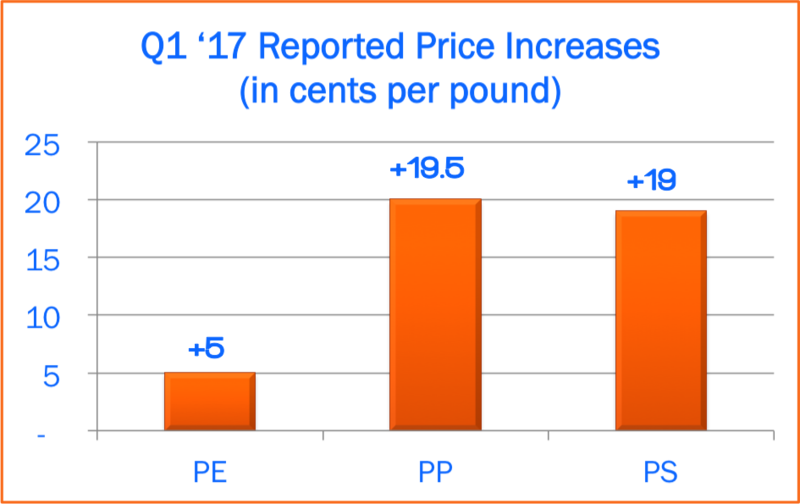 Continuing into summer, a slight increase for PP, flat pricing for the third month in a row for PE, and a price decrease for PS were among the changes reported for the month of July. 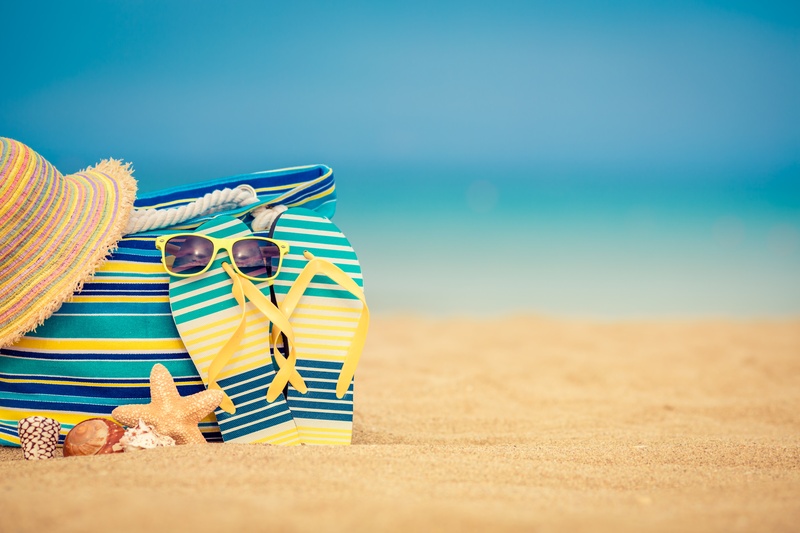 After a full quarter of spiking prices followed by significant relief for PP, PS and PE during April and May, the market has decided to go on a summer vacation. 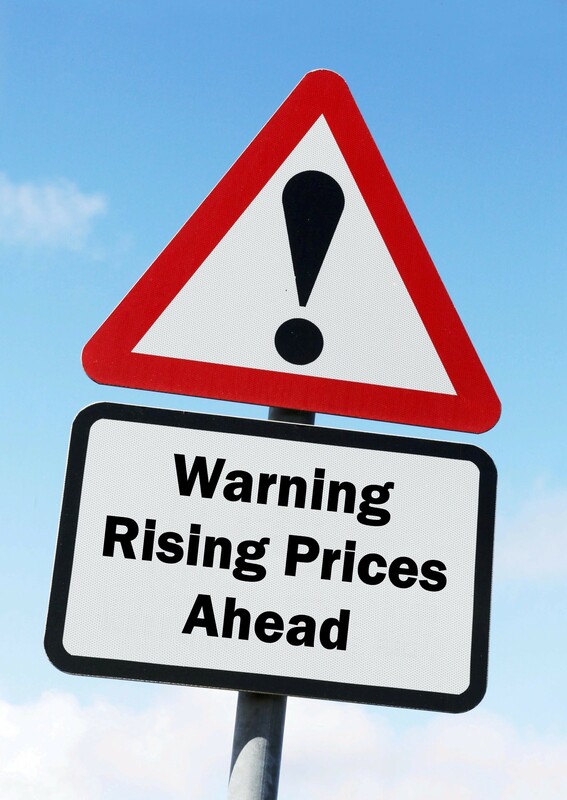 June pricing remained unchanged from May levels for PP, PS and PE giving resin and sheet buyers some time to collect themselves after months of roller coaster-like volatility. 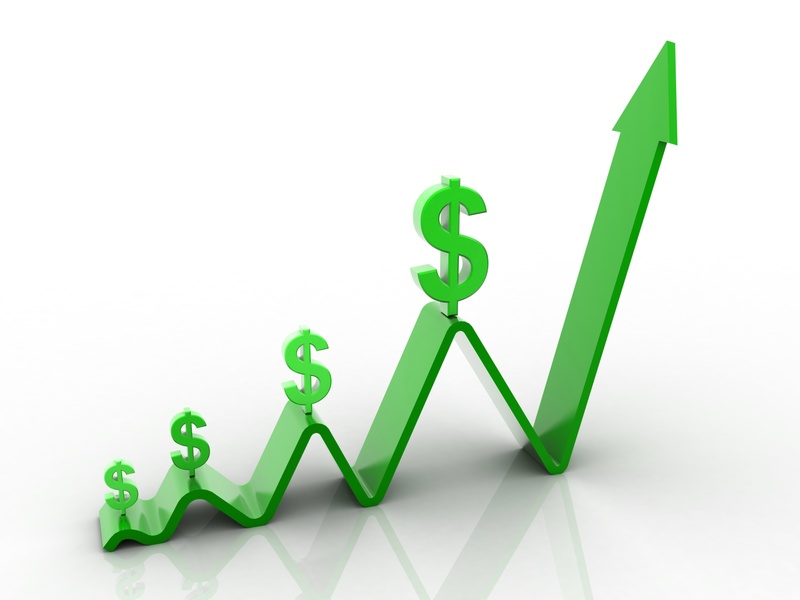 Price increases take the market by storm with pricing for several polymers continuing on the upward trend for February. To start off 2017, January brought with it significant price increases in polystyrene and polypropylene with little notice and rumors of further increases on the horizon. 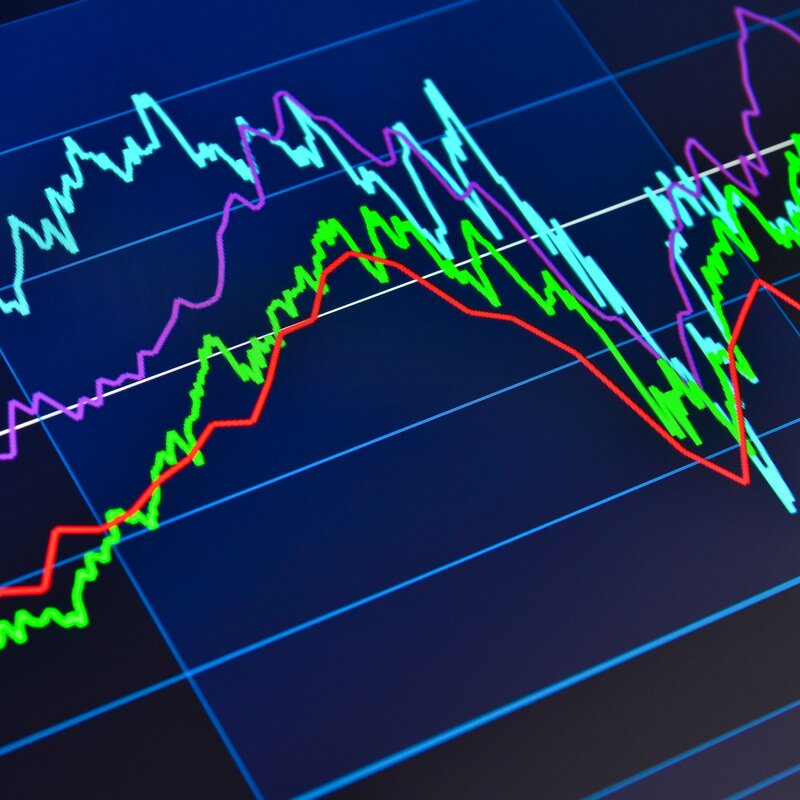 February followed suit, with increases in PP, PS and PE hitting the market. 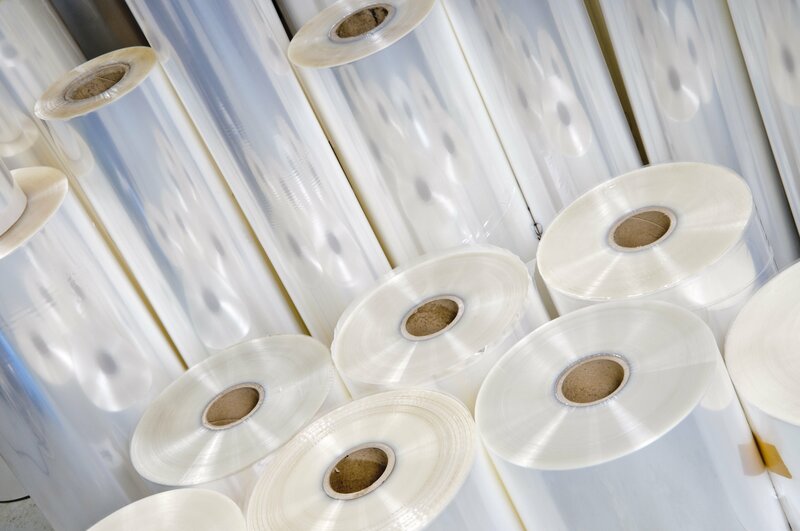 Given the current market volatility there is a lot of uncertainty among buyers of resin and sheet alike regarding whether they should stock up, or hold back.